Mission: thoughtful, simple giving gifts this holiday season. For baby boomers, giving back is, well, a given. Baby boomers are givers at heart. As a matter of fact, baby boomers are responsible for the largest share of charitable donations. According to one study, we make up only 34% of all donors, but give 43% of the donations. For many, changes in income levels, job losses, mounting medical bills or a need to increase savings for retirement can make it difficult to give monetarily to charitable causes in the amount they may have at one time. 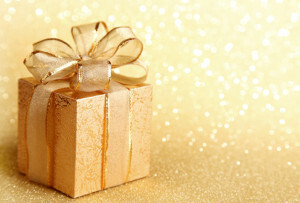 The good news is that at its core, simple holiday giving isn’t about the gift itself. How many sweaters, video games, ball caps, scented candles or boxes of candy do we need to buy? Really? As we get closer and closer to the holiday, time runs short for shopping. You may be working, caring for family or handling other critical obligations. What happens? You start feeling pressured…pushed, frantic and tired. Or, you may just be like me. I experience a visceral push-back to the aggressive retail onslaught of retail product endorsements and commercials, and stay as far away from any retail location as I can manage. The shopping crush of people and cars actually have the power to make me physically ill. There are a number or organizations near you where you can recycle your readers. Find some great resources at Readers.com that can help you do it easily with your old glasses, or you can just treat yourself to a new pair of readers and buy an extra pair at checkout. What makes this a simple giving gift? If you wear glasses, you know how important they are in your everyday life. Now think about how you feel when you misplace them and can’t see. I rest my case. This is a really cool idea. How about giving a water buffalo? Yep, for $250 you can donate an entire water buffalo to a family in another country. What makes this a simple giving gift? You can buy just one share of it at $25, or buy the whole darn thing and send a free “honor card” telling 10 people that you have made a donation in their honor. Simple giving at its best. Having a sandwich at your favorite deli and see a veteran ordering lunch at the next table? Pay for his or her meal. Anonymously. In front of a veteran or an elderly person in the coffee line? Buy their coffee or a gift card and have the cashier present it to them. What makes this a simple giving gift? Doesn’t have to be a lot of money. Best part is if you get to see their face before you leave. Priceless. Spend time with a Senior. This can be one of the toughest times of year for senior citizens. Try this on for size: “More than 50 percent of nursing home residents have no close relatives, and 46 percent have no living children. These two facts are a major reason why an estimated 60 percent of nursing home residents never have visitors. Now just put yourself or your loved ones in that picture and you can see where I’m going with this. What makes this a simple giving gift? Visiting a nursing home during the holidays can bring more joy to someone than you can even imagine. Won’t cost you anything except your time and good nature. You might even a) learn something amazing from an octogenarian, or b) like it so much you do it more than once next year! A great holiday gift idea from the Arbor Day Foundation. What makes this a simple giving gift? Unique, thoughtful, no commercial endorsements attached! These are just a few ways to embrace the holiday season on your terms. There are so many benefits to giving in this way. You can save money, avoid the commercial merry-go-round, make a difference in someone’s life, and teach your children and grandchildren what thoughtful, simple giving gifts are really all about. I wish you a happy, healthy and simple holiday season. Looking forward to 2014!